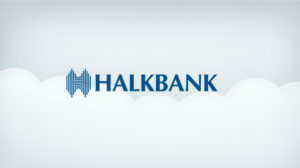 Halkbank AD Skopje activated iBanking solution for companies and residents. With this solution Halkbank has achieved a goal that, by following the new trends, with the introduction of innovative and modern banking solutions facilitates usage of banking services for their clients. Halkbank is the first bank in Macedonia that recognized qualities of iBanking solution, which will help it to expand its business in the digital sphere and thus gain an advantage over competitors in the battle for the leading position on the Macedonian market. Implemented unique iBanking solution combines best of technology and modern banking trends, and allows clients to finish their banking transactions faster and easier. With this improvement Halkbank strengthened their position on Macedonian banking market and showed that they see future of banking business in a digital sphere, but they will not stop there. They continue to work actively on improvement of digital services which will be available to their clients in the future.